Renting in Fernie would like to help you enjoy all that Fernie has to offer in the winter time. 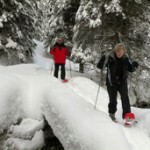 From a an unforgettable day of Catskiing to a guided snow shoe tour or perhaps cross-country skiing around Island Lake Lodge to snowmobiling or dog sledding through the old growth cedar forests. There’s so much more to Fernie than just skiing! Please let us look after all your accommodation and recreation needs by calling us with any inquiries or bookings you would like to make with the following activity providers. 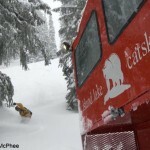 Skiing in the Canadian Rockies is an incredible experience, Catskiing in the Canadian Rockies is a once in a lifetime experience that you must treat yourself to while visiting Fernie! 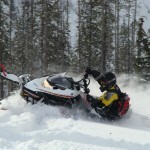 For those who like to have fresh, dry powder turns all day long you have to go where the lifts don’t go. 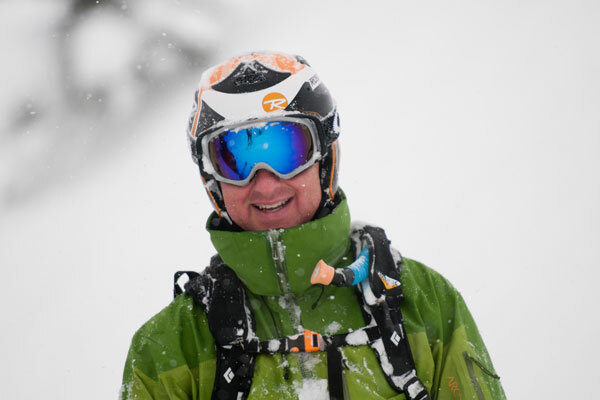 The easiest way to access those powder stashes is to join one of the 3 world famous Catskiing companies located in the Fernie area. 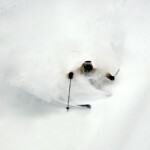 You don’t have to be an expert; you just have to love powder! 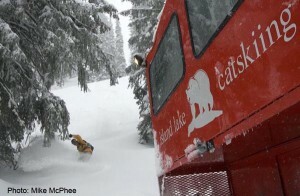 Renting in Fernie has partnered with all 3 Catskiing companies and are happy to book your day trip while you are in Fernie. 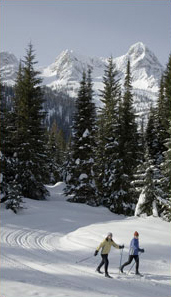 Powder Cowboy Catskiing is a unique backcountry ski destination located at a western style “Dude Ranch”. Famous for its long ridge lines, great dry, deep snow, and drops with runs heading to all points of the compass, Powder Cowboy offers nine different zones and over 6000 acres to play in. 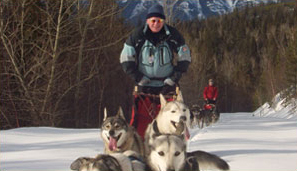 Adventure Source Tours provide a unique, fun and interactive dogsled experience for their guests. They offer a variety of dogsled tours including 1 hour passenger rides, a 1/2 day mushing introduction and full day mushing adventures. Their kennel is small at 25 huskies and their dogs truly are part of their family! They guarantee an unforgettable experience by keeping group sizes small so everyone enjoys the full attention of their guides. During the half and full day trips they encourage guests to drive their own dogsled team and with ongoing instruction from the start, to trails end it is something everyone can do and an experience they recommend! They will take you into the Rocky Mountains, through cedar forests and alpine meadows, a trip the whole family will love! Enjoy home baking on the trail and finish your experience with a big thank you to your team and belly rubs all around! We can’t wait to introduce you to our pack!